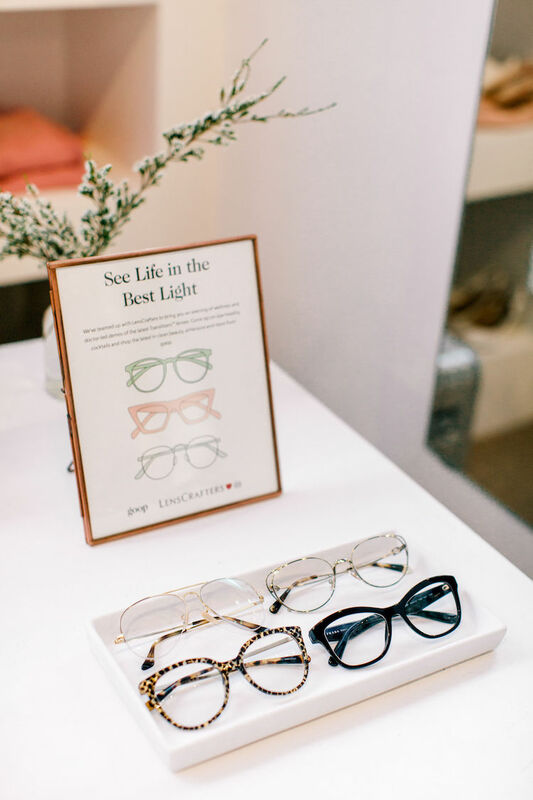 I had such a blast at the Goop x LensCrafters event on South Congress this past Tuesday night. 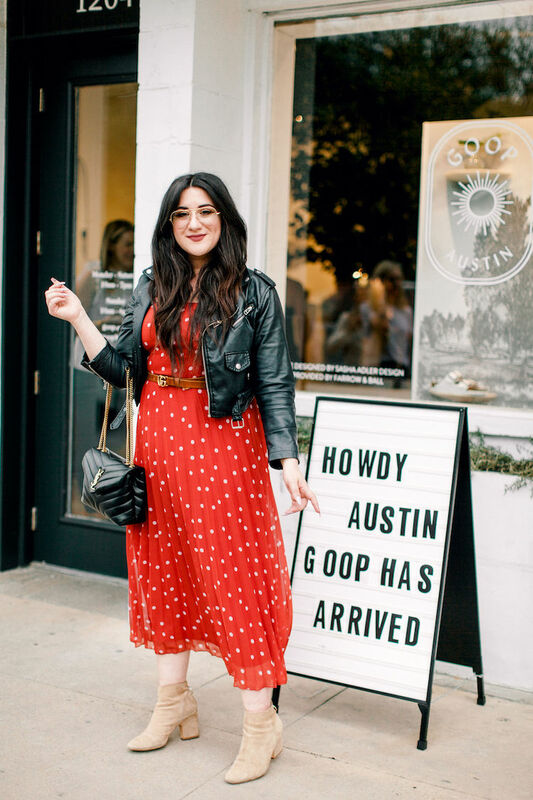 SXSW has been a little crazy for me this year, so it was so nice to attend a relaxing event at the beautiful Goop pop-up. The store is an absolute dream, and It was amazing exploring the brand in person! I scored this adorable Ray-Ban aviator that I am completely obsessed with! Normally I go for thick-framed nerdy glasses, but I decided to step out my comfort zone and try these specs on. So glad I did, because I am in love with this style now. 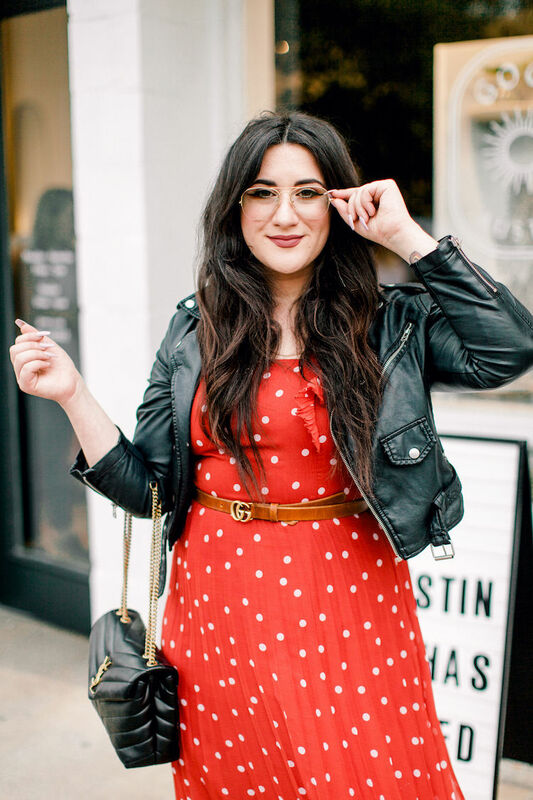 To make this frame even more perfect, they have Transitions lenses, which makes going from indoor to outdoor seamlessly perfect for sunny Austin days. I already know I’ll be wearing these glasses all year round. If you love this frame as much as I do, be sure to check out Vision Days at LensCrafters this month, where you can get 50% off lenses with a frame purchase. You can also save $50 on contact lenses with a 6-month supply purchase of daily disposables. So many adorable styles and lens options to choose from!